Ready to Replace Your AC Unit? Bornstein Sons performs the finest Central Air Conditioning installations and air conditioner replacements for your NJ home. Because we recognize the comfort and reliability you need from your air conditioning system and know that you need your AC replacement quickly, we're ready when you are! Bornstein Sons is your local expert when it comes to Central Air Conditioning systems in New Jersey since the early 1960s. Add to that, our experience for 3 generations since 1928, and our expertise shows. 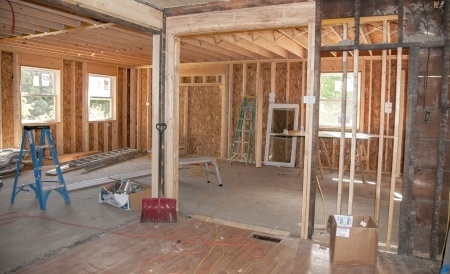 Need to replace the AC unit in your home? We're the ones to call. We have the experience to provide you with the finest installations and AC replacements available! Great system add-ons will bring even more comfort to you, your family and pets. UV Lights destroy mold from your central air conditioning systems. Electronic air cleaners remove 99% of allergens, airborne particulates, mold and viruses in the conditioned air! Our Trane 'Clean Effects' Air Cleaners do a "white glove" job of cleaning the air in your home of pollutants. Contact us today about the replacement of any and all components of your central air conditioning system. We're experts in Commercial HVAC Systems, too. 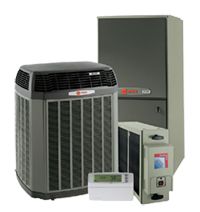 Schedule an estimate for a new air conditioner or AC replacement equipment now. 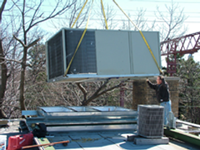 Need an ACreplacement or new Air Conditioning Installation? Our expert Air Conditioning installations will guarantee you a superior system, with the correctly designed duct system that you'll need to properly condition your living space. Your spending a lot of money on this project. Why would you want to sacrifice quality and comfort for HVAC design?